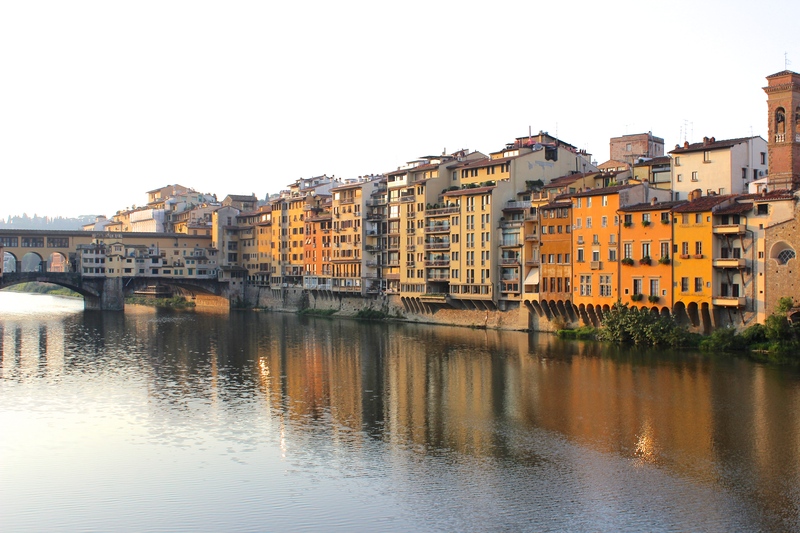 Buildings aglow on the Arno. 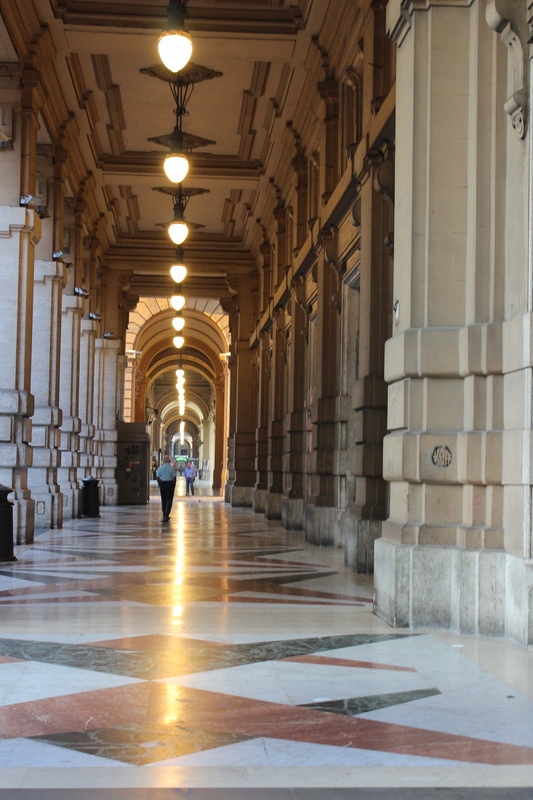 Porticoes without people in the early morning. I have waited months and weeks and days for this trip to finally arrive. 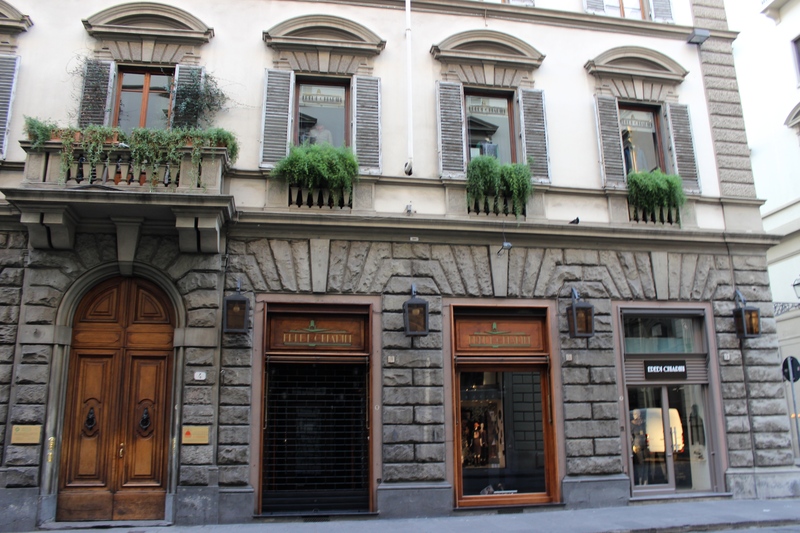 I have sent countless emails to hoteliers, restaurants, bloggers, and friends. I have spent hours on review sites. I have made pages of lists and notes. 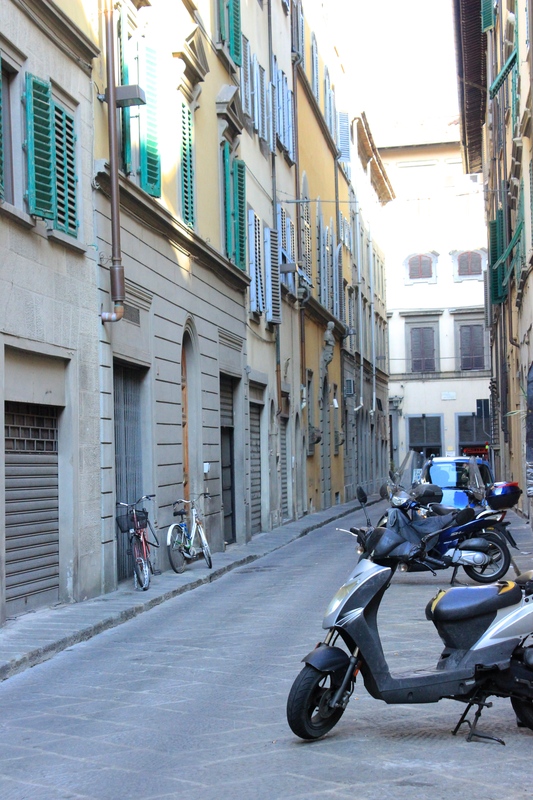 Now that I am finally in Florence, and I can feel the sun gently streaming in behind the curtains, and I can hear the odd passerby on the narrow cobblestoned street, I do not want to waste one minute. Mornings are my favorite time of day. More precisely, I yearn for the single hour just after the sun rises but before the people steadily fill the streets. Before cars whizz by, before stores open, before the majority of the city washes its hair and makes its bed and begins another day. This is my walking time, my exploring time, my photographing time. This is my looking around time, my noticing things time, my discovery time. I make note of streets that I want to walk down again, stores that I want to re-visit, vantage points that I want to photograph again and again. 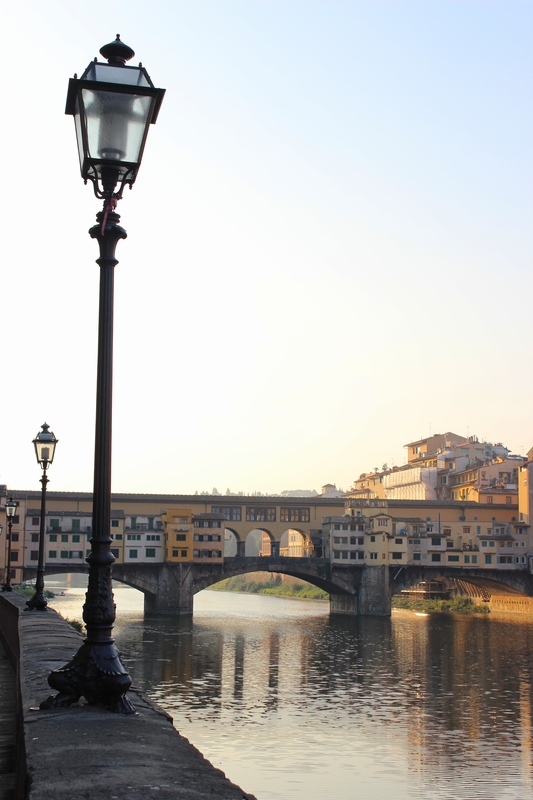 Even the Ponte Vecchio is void of its usual hoards. The ancient viaduct feels as if it is resting. 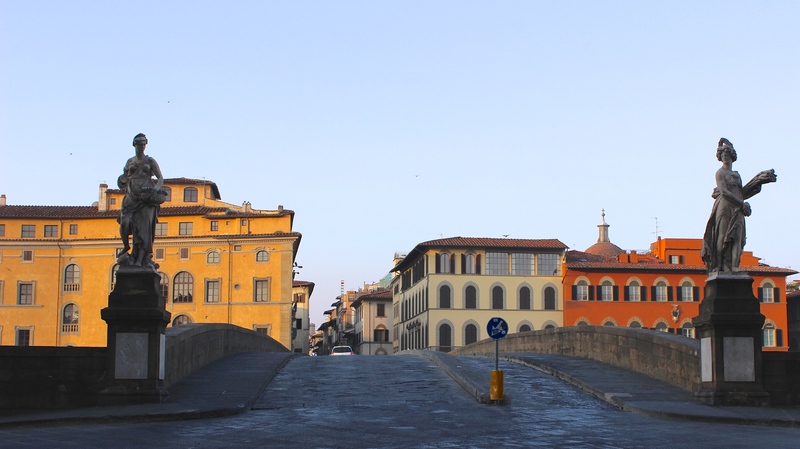 As the sun rises over its crest, it is taking a large breath; building up strength for another day of jewelry-shoppers and visitors vying for a path along the merchant-lined bridge. 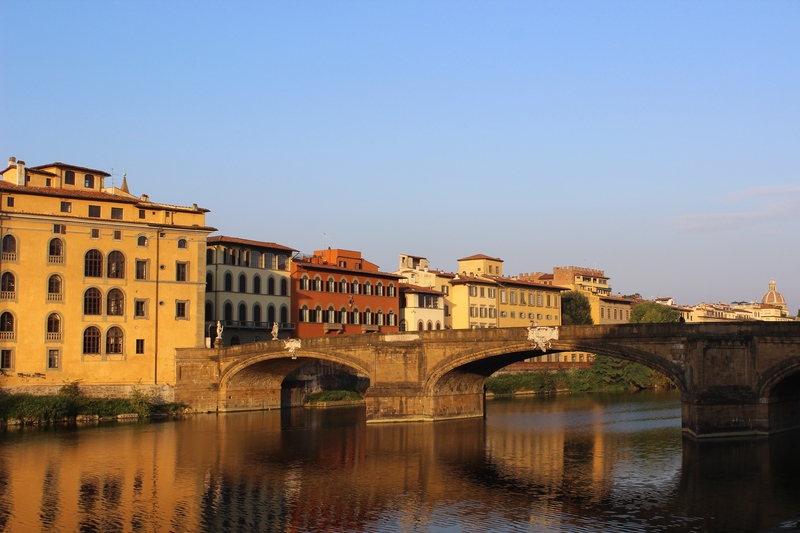 Florence, like many Italian cities and provinces, seems to be made for this hour. The yellow and orange buildings are aglow. 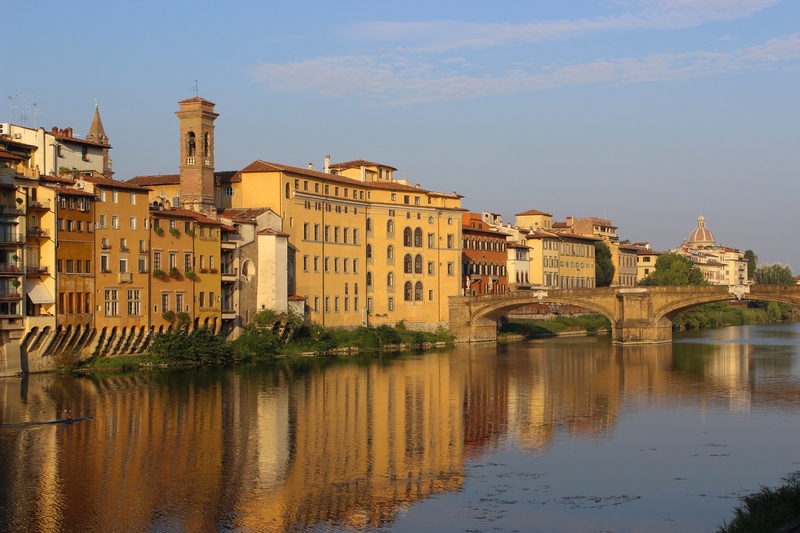 They reflect off of the Arno, their beauty as humble as their people. 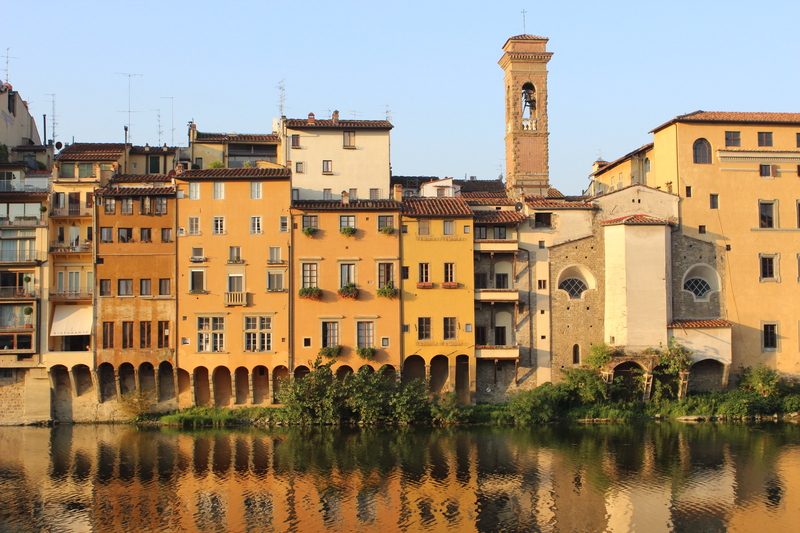 Locals are jogging along the river, through the shadowy streets past favorite cafes and on to Piazzale Michelangelo, or perhaps upwards towards the ‘Poggi’ roads, a neighborhood of winding serpentine streets lined with private residences; a picturesque setting with tall grasses and mystical views over the entire city. 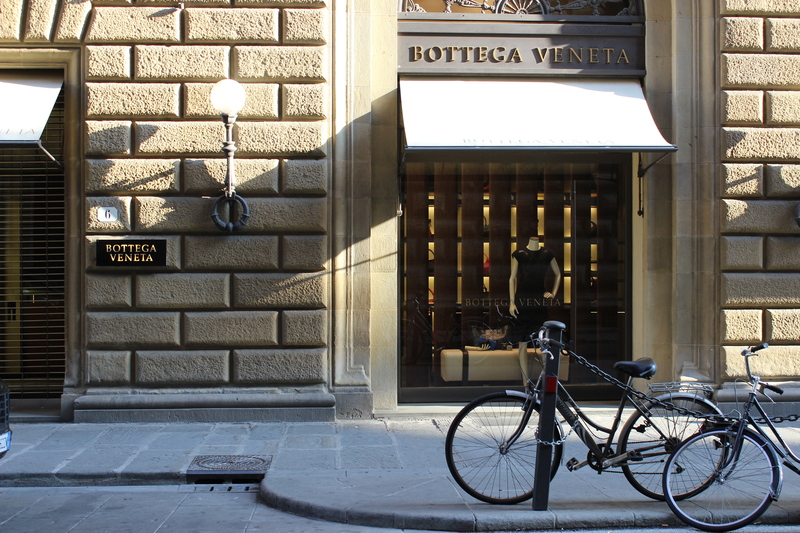 I can walk down the center of Via Tornabuoni, my eyes darting left and right at the luxurious window displays. 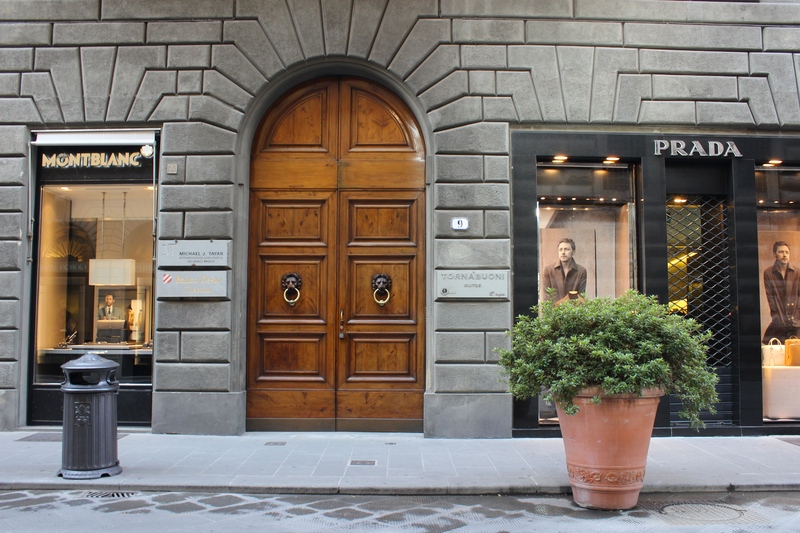 I criss-cross, ogling over Italian designer clothing, jewelry, and glassware. 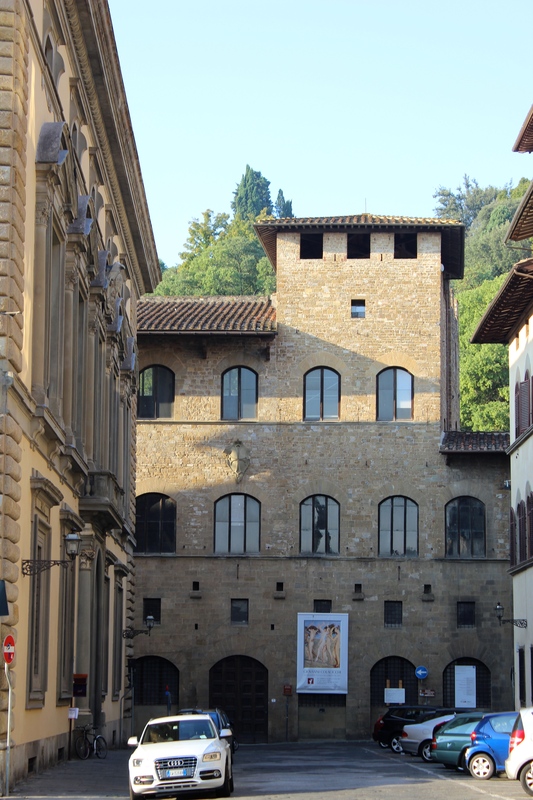 I am impressed by Florentine entryways, elaborate doorknobs on oversized doors, and garages that resemble fortresses. 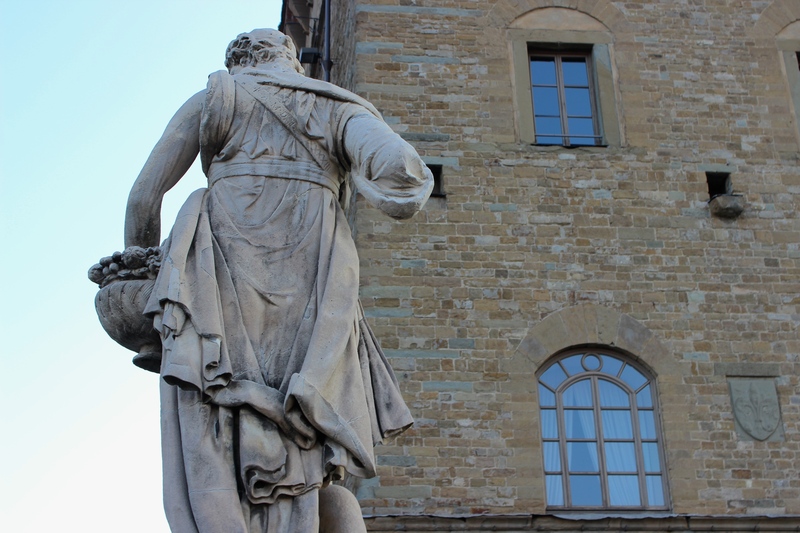 Muted-toned shutters and endless archways, flower pots and overhanging growth on balconies, statues, towers, cathedrals… the Florentines leave no detail behind. 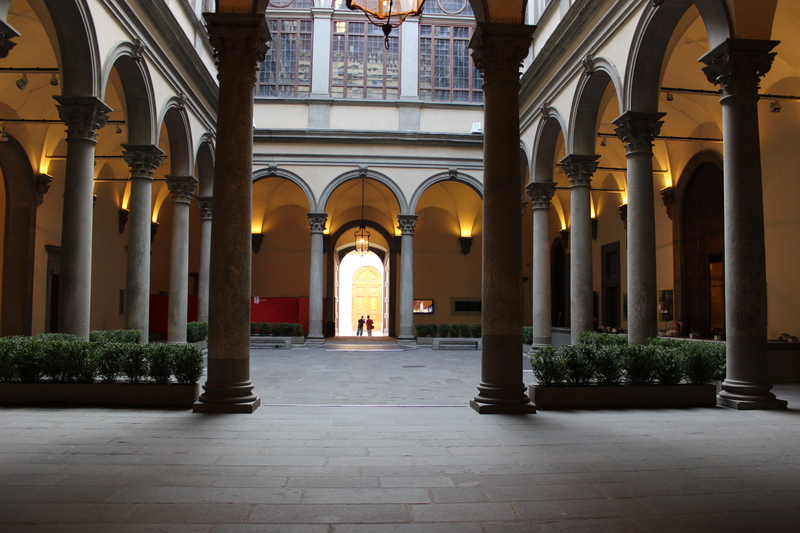 Architecture, aesthetics, gardening, stonework, and design are so clearly a priority to each and every person. I spot not one piece of litter. 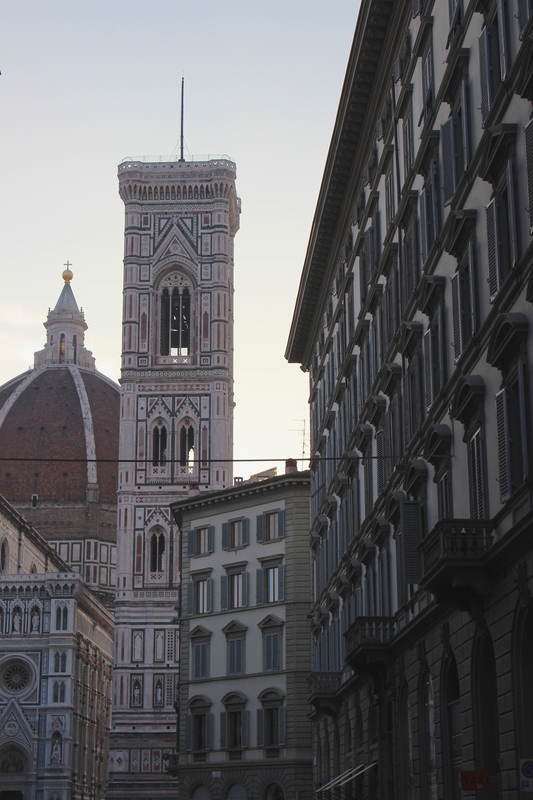 Florentines take pride in their small city. 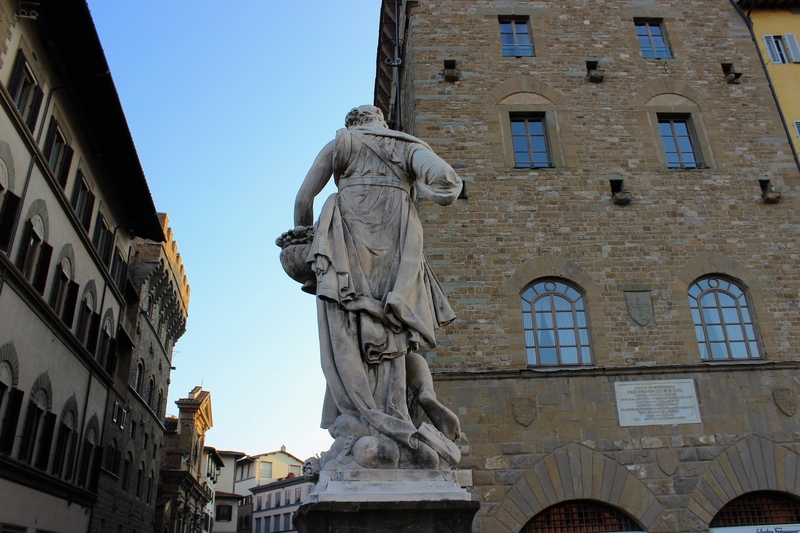 They live in beauty and vie to keep Florence a gem, and with great generosity inherent to the Florentine people, they share their city with the millions of tourists who fill their cobblestoned streets each year. As I wander farther from the center, past the Museo Stefano Bardini, I see a group of Florentines placing a wooden rowboat in the river. 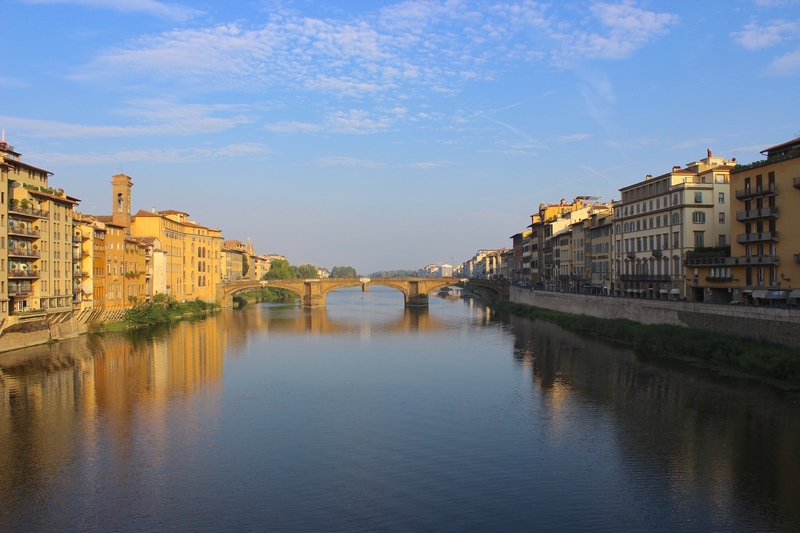 They push and pull down the center of the Arno, their arms tanned, their eyes alight with il sole. What a glorious way to enjoy this morning hour, from the center of the water. 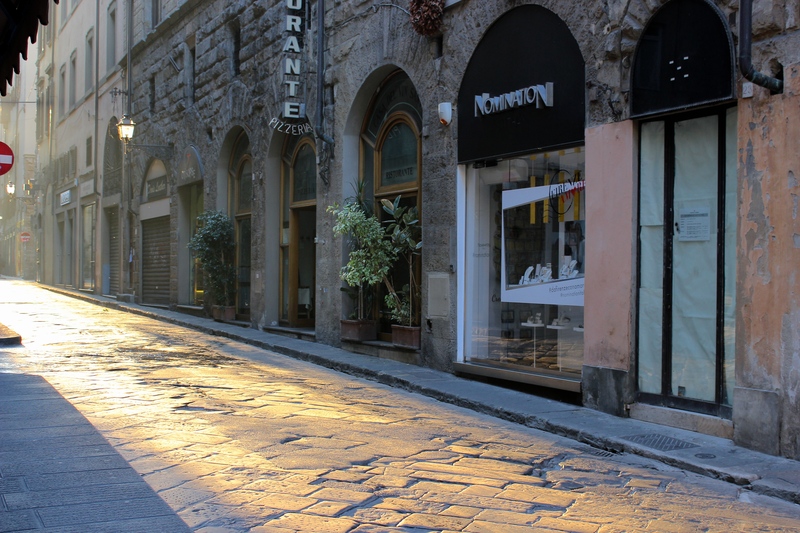 The light follows them as they glide past me, and I watch them grow smaller as I make my way towards a cafe join the rising Florentines for a cappuccino. 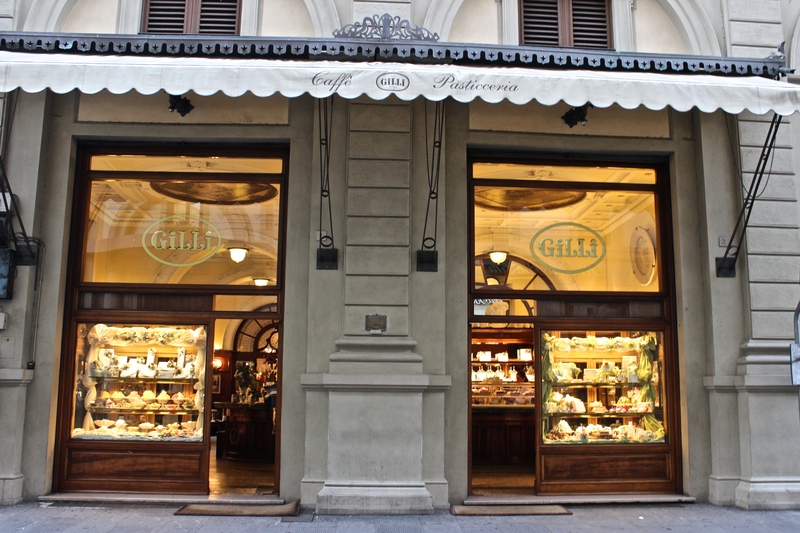 As I stand at the bar, listening to the patter of cups on saucers, I wonder why there aren’t more Florentines wandering their empty city in the glowing morning hour, soaking in the place that, with buona fortuna, they call home. Italians wear orange so well. 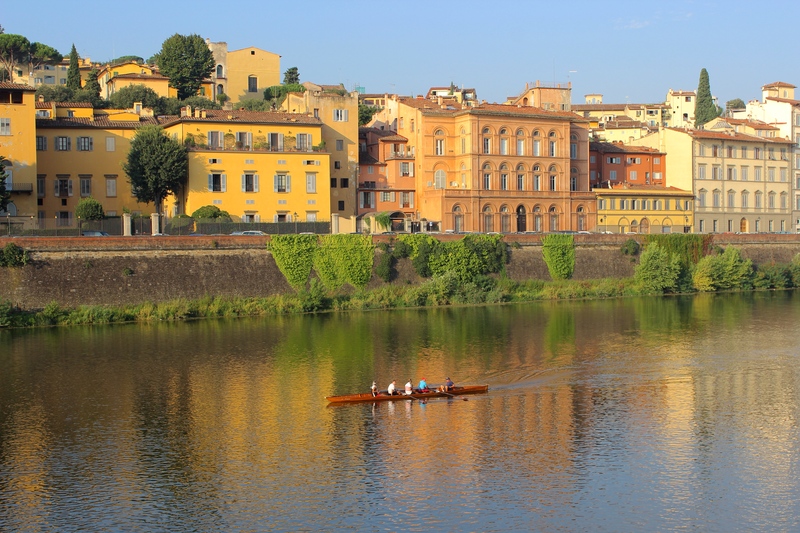 Morning rowing on the Arno. 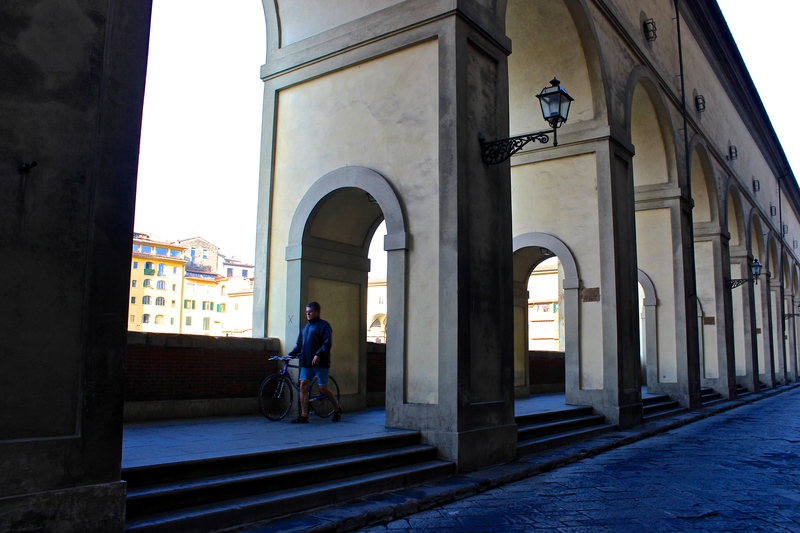 Empty porticoes along the Arno. 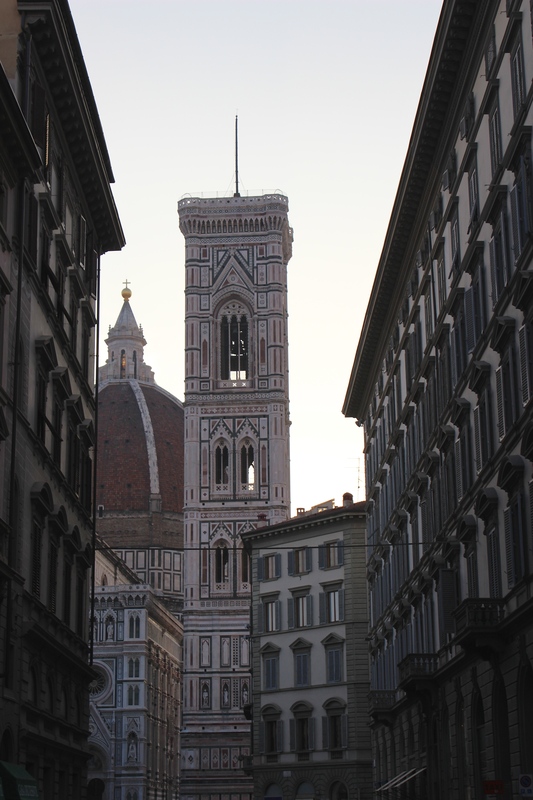 The Duomo in the morning shadows. 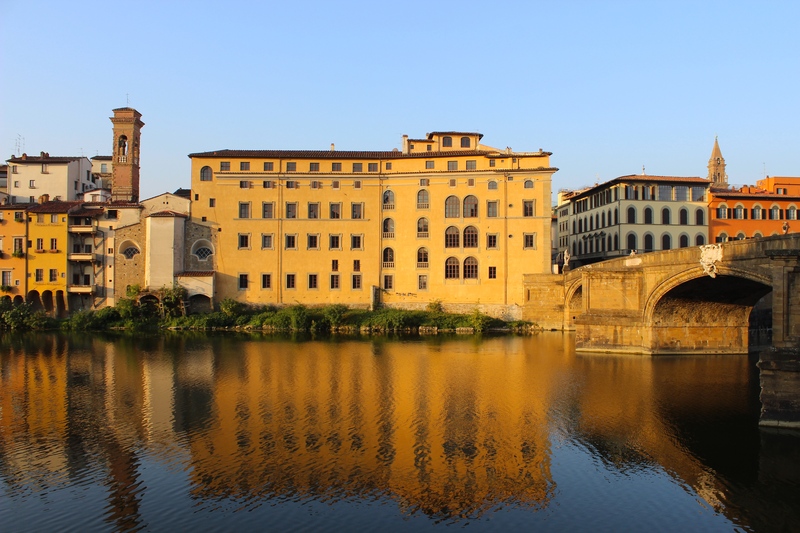 Yellows and oranges on the Arno. 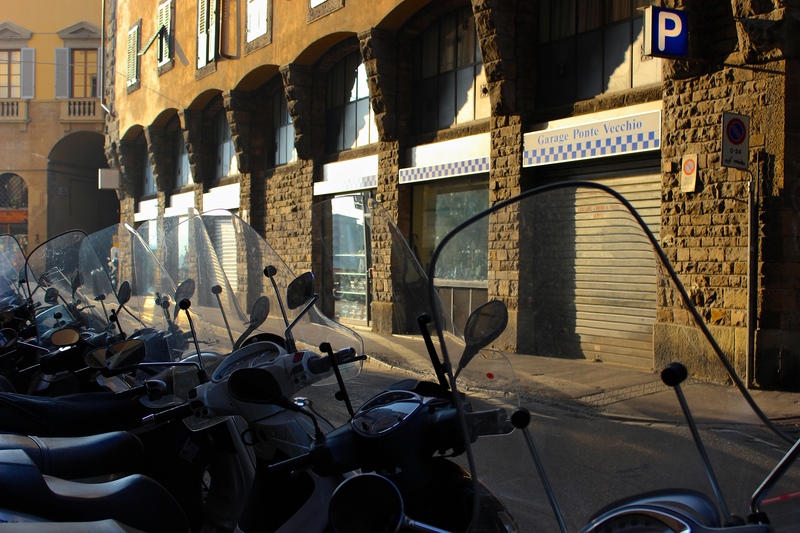 At the beginning of Via Tornabuoni. These photos are beautiful! 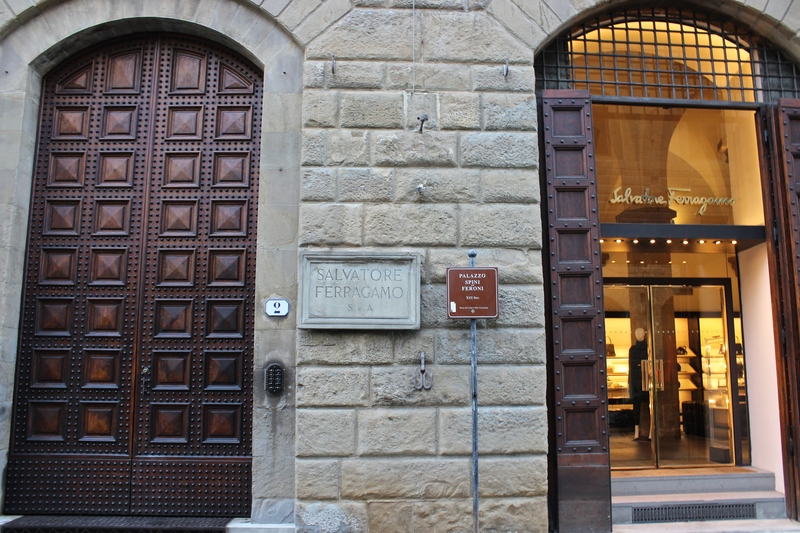 I am currently working in Florence and your post has encouraged me to wake up a little earlier and explore the city!